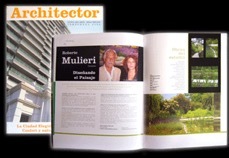 “Siempreverde Studio’s Works” Architector magazine- Buenos Aires. 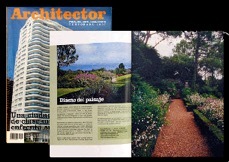 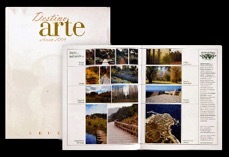 Scheming the Landscape” Interview Architector magazine- Buenos Aires. 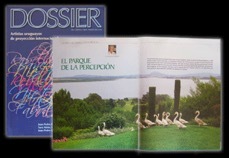 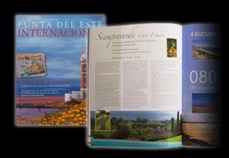 “Good ideas”, “El Jardín en la Argentina”, magazine, “Desde los Jardines”, La Nación´s magazine. 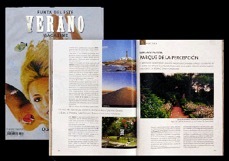 El Clarín Newspaper “Roberto Mulieri, his 20 years”, commenting on the 1,900 works done by Siempreverde Studio in the country and abroad. 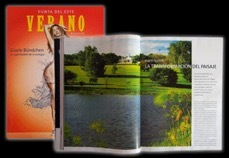 La Nación newspaper “In The Gardens of Memory” article by Cristina Bugatti. 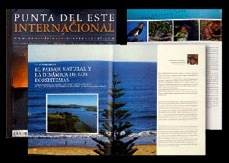 Local Newspaper Costa Norte “Vicente López and its coast: the threshold of the final debate”. 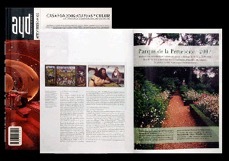 Newspaper Tiempo Argentino “National Landscaping Proposals”.